I’ve recently learnt to crochet and I LOVE IT! For me, it’s about only having to have one stitch on your hook at anytime and the creative freedom it gives as you can choose what where you want to add your next stitch. The biggest hurdle I had to get my head around was the fact that us Brits and our hooky friends in the US use different names for the same stitch – something I found a trifle confusing! 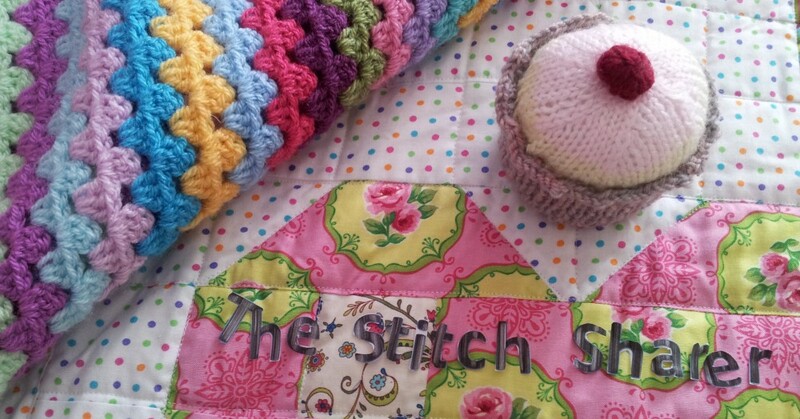 Each time I thought I had ‘mastered’ a stitch, I would pick up a book or pattern and find it was written in the opposite terms and then couldn’t work out which stitch to use! So, incase any of you have also experienced this problem, I thought I would put together a few crochet based posts to try to make this hooky world a little clearer. Although you can crochet with almost any yarn, I’m going to be using some double knitting and a 4.5mm crochet hook. 1. 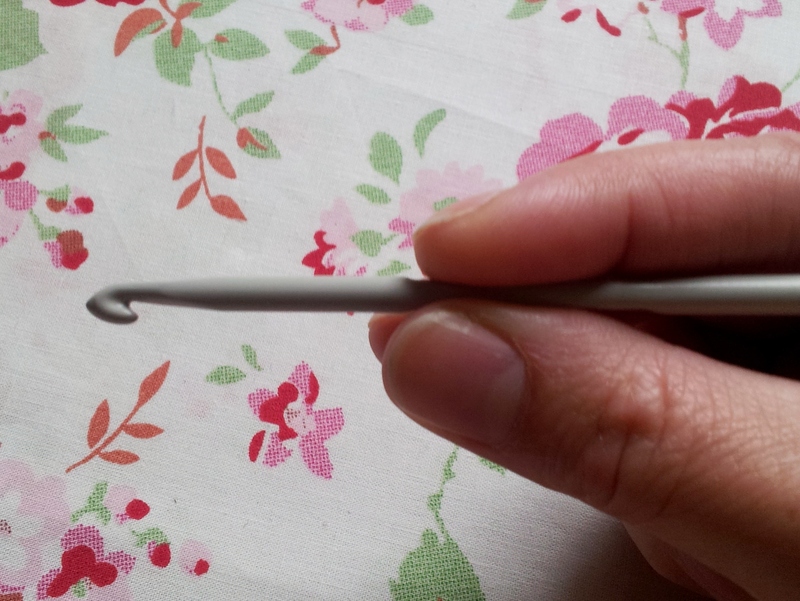 The most popular ways of holding your crochet hook is either like a pencil (below left) or like a knife (below right). For me, the most comfortable way seems to be a bit of a combination of the two! 2. Always insert your hook in a chain or stitch from front to back. 3. The first row of any crochet you work is called the foundation row. 4. Parts of a stitch – the vertical part can be called the post, bar or leg – it’s easier to see in taller stitches like a treble. As there is only one post to one stitch it’s quite a good way of counting them. The horizontal strands are called loops, the one furthest from you is called the top or back loop, the one closest is the front or bottom loop. 5. When you crochet in rows a turning chain is used to bring the hook up to the height of the next row. The amount of chains you need in your turning row depends on the stitch you are using – see my summary chart for help. You can either work your turning chain at the beginning or end of your row. When you are using taller stitches,the turning chain counts as your first stitch. 6. When you first learn to crochet don’t worry about your edges being even. Master your stitch technique by making some small squares to see what the stitches look like. The first row of your crochet is always a bit tricky – just remember you will get through it. 7. To find out how many stitches you have, count back from your hook. The loop that is on the hook and your slip knot don’t count! 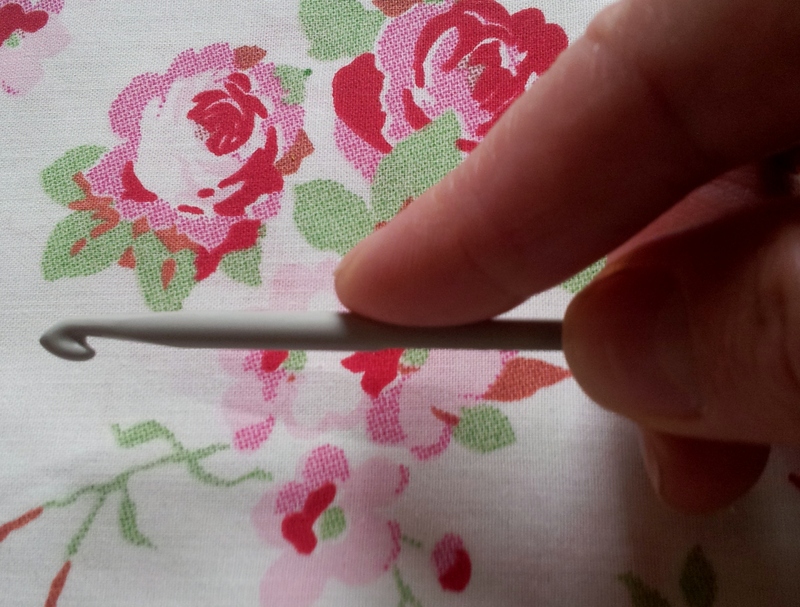 Just to help – the needle in the photo below is pointing to the first stitch you would count. For a step by step photo stitch guide please click here. This is four years later and I just found your site. Thank you, thank you, thank you. It is better than a teacher led class. Hi I have only just started crochet about a week ago, my grandma was fabulous at it and my mum is too and she has been meaning to show me for ages (my fault as I was always drinking wine instead!). I have got to say I am absolutely obsessed with it! I have started on a blanket, just going round and round with different colours. I am not going to do granny squares until I get used to it and my stitches are all even. Even if I say so myself, I am very impressed with what I have managed so far! The worst thing I am finding at the moment is the turning chain, I kept forgetting to do it at the end of the row! Congrats on leaving to crochet, it sounds like you have some top people to help you if you get stuck. Your blanket sounds so lovely. I’m going to make one like that too to use all my yarn ends up. Thanks again, how would I start a blog? Went did you start to do crochet or knitting? Thanks for the advice, what the best website to get the yarn from if your from the uk? I’m afraid I can’t recommend anyone in particular as I normally get my yarn from my local shop. However, I have ordered from Deramores before and I’m thinking about trying the wool warehouse (www.woolwarehouse.co.uk) which Lucy of Attic 24 fame has mentioned on her blog – her posts are amazing and definitely worth checking out. hi. i recently started doing crochet and am in love with it, i am a beginner also i got a disability and i was wondering what is best yarn to use if your started out to make hats, and where can i get it in the uk? Great to hear you are loving crochet. As a beginner i used a thickish yarn (rather than thread)’e.g. double knit or Aran weight and a hook that is 5 mm or bigger as you can see your stitches. If you are on a budget I think stylecraft acrylic yarns are good. Hope this helps.